There's a very good chance this song might be stuck in my head now -- quite apropos for the long weekend ahead, no? Which reminds me, happy (almost) weekend, friends! Loving this red combo - very chic!! Red passion ! total trend for this autumn ! Love so much your style Krystal ! um... this is AMAZING! love the lips. love the necklace. love the red. A.MAZE.ING! so perfectly done..I am not a big fan of red but for some odd reason I love it in BIG doses..strange huh? Stunning! Love the red, suits you perfectly! Great outfit! 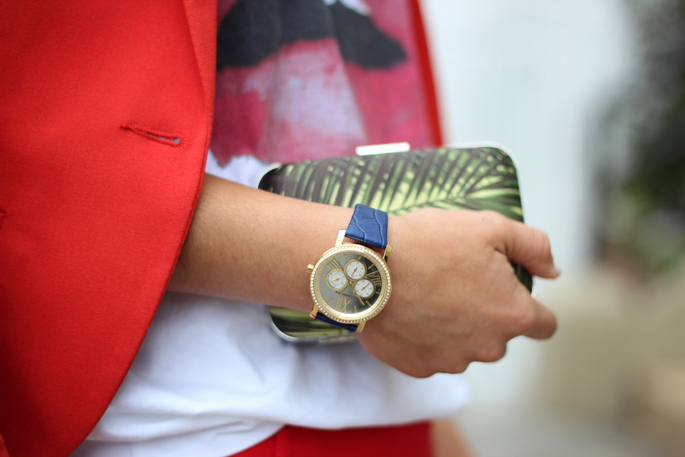 Especially like the cooler elements of the watch and the clutch against the fiery red. HAPPY FRIDAY! Obsessed with this outfit to the highest level! So good! Amazing outfit!! Wow!! Love it!! 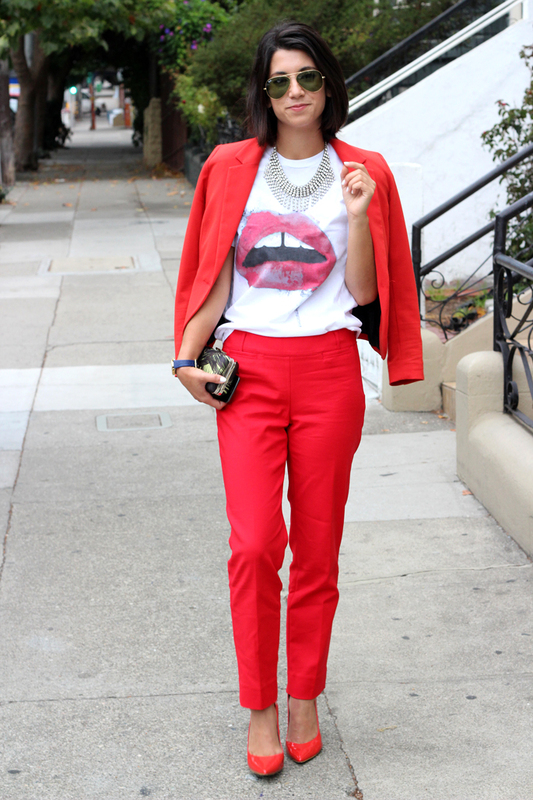 Love the red suit and graphic tee - so great! WOW! Those reds go together perfectly even though they are different brands! :-) Gorgeous look! I am absolutely envious that you can pull off a head to toe red suit! 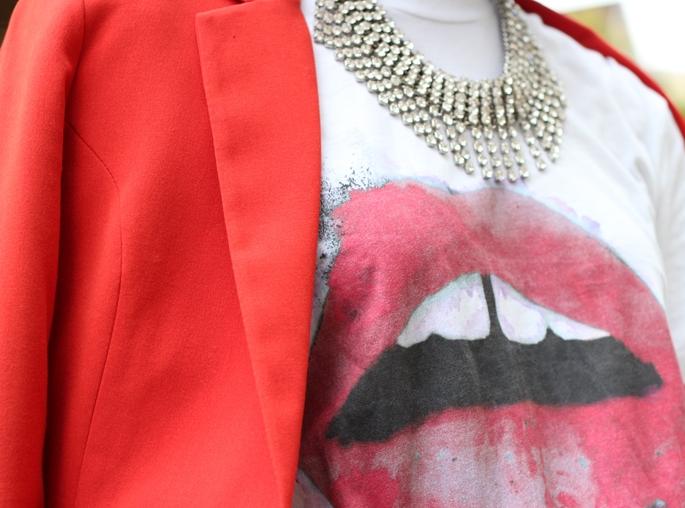 Love the lips graphic tee, too! you look stunning and glowing! your look is so chic and so bright! SUCH a fun combo! that's it...i officially need a fun graphic tee. Red suits you so good!! So fine,I like red so much. You are so beautiful with red colors dress. I just started out a blog and ill welcome you to check it out! Hope you like it! and follow each on bloglovin? Thanks for your tips. Broken windows are really annoying. It's really important to get a windshield replacement as soon as possible. appreciated.Thanks for another Timely Post.